This stunning Suzuki T500 was restored by its owner. The crankshaft was professionally reconditioned. New gearbox bearings were installed. 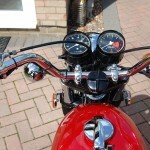 A new old stock gear selector was fitted. The engine cases were vapour blasted. 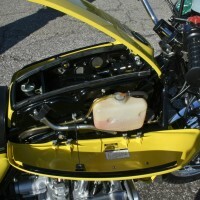 The carburettors were ultrasonically cleaned and rebuilt with new jets. The choke linkage was re-plated. New head and swinging arm bearings were installed. 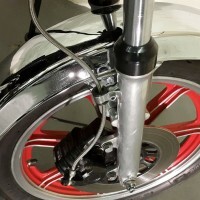 Genuine replacement wheels were sourced from Suzuki in Japan. 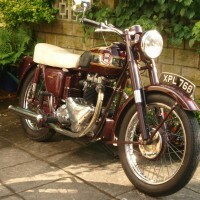 The exhausts, mudguards, forks, brake lever, headlight, headlight ears, chain cover and the tank cap were re-chromed. 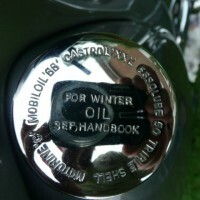 The fuel tank and covers were repainted. The brake hubs were polished. 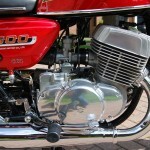 A truly fantastic restored Suzuki T500 Motorcycle. 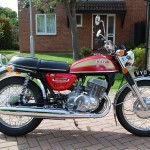 Suzuki T500 – 1974 For Sale or Wanted? 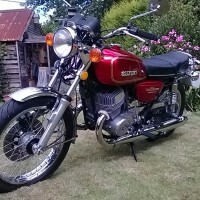 If you're looking for the perfect Suzuki T500 – 1974 for sale then take a look at the hundreds of restored classic motorcycles listed on our extensive Motorcycles For Sale pages. 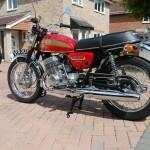 We regularly feature very nice restored Suzuki T500 – 1974 bikes for sale. 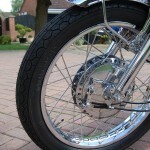 Spares and Parts for your Suzuki T500 – 1974? 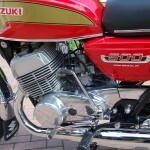 Workshop Manual for your Suzuki T500 – 1974?